The Supreme Court today struck down sub section (4) of Section 8 of the Representation of the People Act, 1951 as ultra vires the Constitution. This particular section protects convicted legislators against disqualification on the ground of pendency of appeal against their conviction in the higher courts. (4)Notwithstanding anything in sub-section (1), sub-section (2) or sub-section (3)], a disqualification under either sub-section shall not, in the case of a person who on the date of the conviction is a member of Parliament or the Legislature of a State, take effect until three months have elapsed from that date or, if within that period an appeal or application for revision is brought in respect of the conviction or the sentence, until that appeal or application is disposed of by the court. 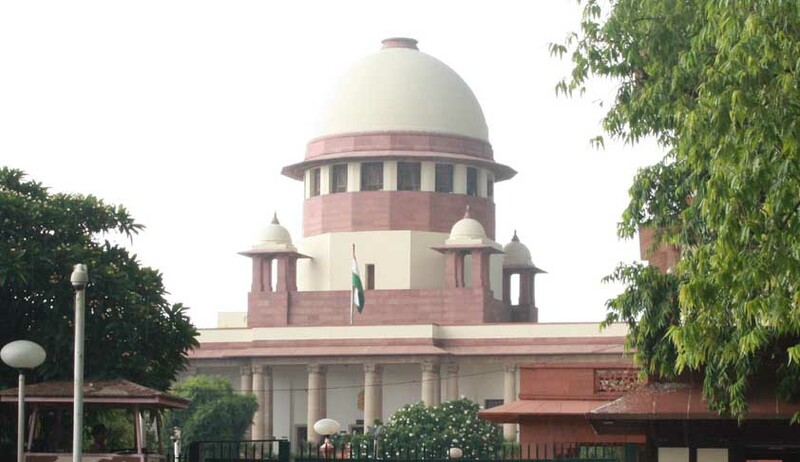 Fali S Nariman, was the Senior Counsel appearing for the petitioners, while Additional Solicitor General, Siddharth Luthra appeared for the Government of India. Live Law had earlier reported that the Law Commission of India has sought views of the political parties, civil society, experts and other stakeholders on Electoral Reforms; and the main area of concern is criminalisation of politics. As per the National Election Watch and Association For Democratic Reforms (ADR) “Report on criminal and financial details of the MPs of 15th Lok Sabha (2009)”, there were 450 tainted constituencies where at least one tainted candidate (candidate having criminal background) contested the elections.